We are offering high-end quality of Citronella Candles to our clients. We have been offering a wide range of Citronella Candles which is customized as per the specifications of our clients. 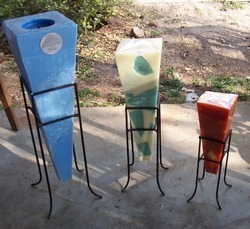 These candles are incompliance with various industrial standards and are prepared using quality material. 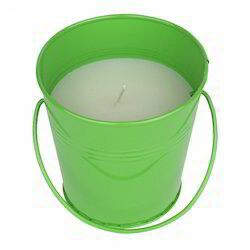 As per the needs and requirements of our clients, we are involved in providing Lemon Citronella Candle. We also have a huge variety of Aroma oils - Lavender, Mandarin, Jasmine, Midnight Jasmine, Citronella, Lemon Grass, Ocean Breeze, Sandal Patchoulli, Green Tea, Tuscan Herb, White Blossom and many more. We can also customise candles according to your taste and requirement.